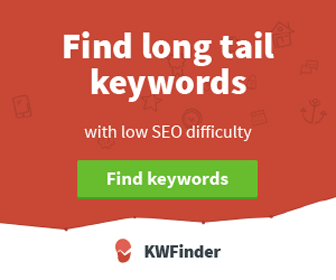 Detailed email reporting system on links. Close monitoring on the performance of links. Distribution of anchor phrases and link domains. Reports generated after 24 hours. Linkody does not have an API. Limited to English and French only. 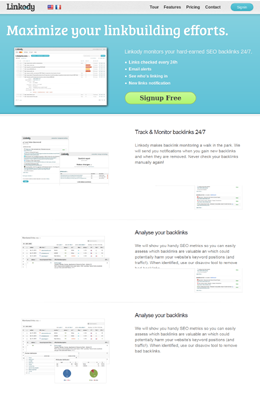 Linkody gives you the opportunities to track and monitor backlinks effectively. 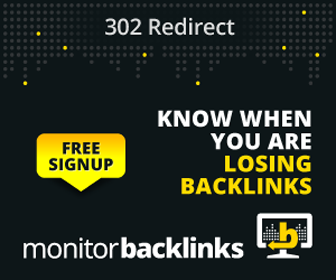 Linkody is an automatic backlink checker which keeps you updated by giving you information about backlinks emailed directly so that it helps in completion of tasks. Tracking competitors are very important to understand strategies and implement them so that better results are achieved. Linkody keeps an eye on competitor websites so as to understand their strategies so as to effectively climb the ladder of the search engine. 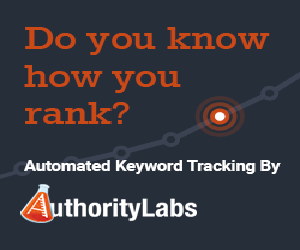 Linkody gives the ability to spy on the link building strategies that are more commonly used by popular companies in that field. Possibly there is no other way to effectively do this with proper analysis and information research. This nifty little feature makes this tool more worth than the purchase price.